Controls Eight Target / Search Light Color Signals that use bi-color/tri-colored LEDs. NO PC Required. 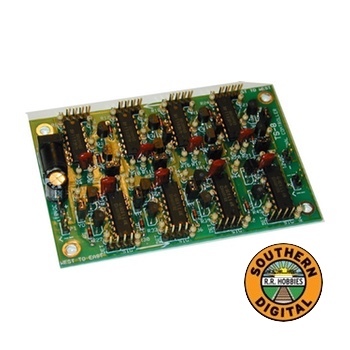 The Target Signal controller (TS-8) by Southern Digital has been designed to provide Automatic Block Signaling (ABS) for your railroad. NO COMPUTER IS REQUIRED!! The TS-8 is a very flexible board enabling you to configure the board for many Target Signal applications. The Target Signal controller (TS-8) is assembled and tested. 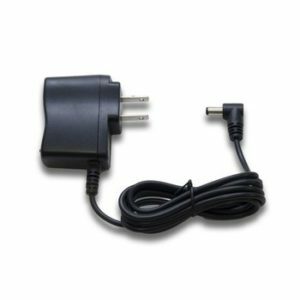 Cables are not included and can be purchased separately as required. This unit requires track detection an interface board (i.e. EX-1 or EX-8 Missing Link) and up to 8 bi-colored or tri-colored LED signals. The TS-8 can be configured to operate 8 signals in one direction, 8 individual blocks or 8 signal heads in two directions in 4 blocks. In addition you have the option to have your signals display RED and GREEN only or all three colors RED, YELLOW and GREEN depending on how you strap the board. Provides Automatic Block Signaling (ABS) for up to 8 blocks. The blocks do not have to be in sequence, any 8 blocks. Can also be configured for 4 blocks with signals in both directions. TS-8 will power only LED’s with appropriate resistors (100+ ohms). An interface board between the block detector and the TS-8 is also required either the Southern Digital EX-1 (interface for 1 TS-8) or EX-8 (interface for 2 TS-8) should be used. (sold separately). 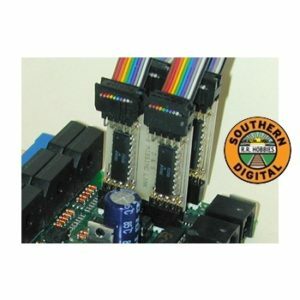 One 10 conductor ribbon cable is required between the Southern Digital Missing Link (EX-1 or EX-8) and the TS-8, Southern Digital will custom make these cables to length for you. (See Phone Cables below).